As more and more homeowners have become environmentally conscious, they’ve looked for ways to decrease their carbon footprint right at home. One of the biggest ways homeowners can help the environment is to select green materials in the building or renovation of their space. And, since flooring is one of the biggest aspects of any home, choosing green flooring can make the biggest impact. Here are the 6 greenest flooring options to consider for your next installation project. It wasn’t long ago that people were unaware eucalyptus flooring even existed. Most simply thought of eucalyptus as that thing that smelled good and was used in lotions. But times have changed and eucalyptus flooring has become very much in-demand, not only for its unique beauty but also for its eco-friendliness. Most eucalyptus these days is harvested from sustainable farms and can regrow in as little as 14 years. Concrete has come a long way. No longer is it only considered a durable subfloor; it has become a go-to flooring choice for many who want a hip, practical and stylish alternative that also happens to be green. Concrete slabs can easily be polished, scored with a variety of patterns and stained with various pigments to create a unique and gorgeous floor. Concrete floors also work particularly well with in-floor radiant heating systems and passive solar designs, giving them another green aspect. And, usually a low-VOC sealer is all that is needed to seal and waterproof concrete floors. Traditionally it has been designers that reach for a reclaimed floor in an effort to give a space a rustic and charming feel. But reclaimed lumber is a great choice for any homeowner looking for a unique material that is environmentally friendly. Recovered from old buildings like barns, factory buildings, and warehouses, reclaimed wood requires no harvesting of anything living (been there – done that) and comparatively little manufacturing. Typically speaking, most hardwood floors are anything but green and that is because it can take a hardwood tree 50 to 100 years to grow before it can be harvested. But there has been an effort to try and “green” up the harvesting of hardwood trees. The Forest Stewardship Council (FCS) certifies and regulates forests so that they are “managed to meet the social, economic, ecological, cultural, and spiritual needs of present and future generations.” When you purchase a hardwood floor that has the FCS label, you can feel good you are purchasing wood that has been harvested in the most eco-friendly and socially-responsible way possible. If you love the look of new hardwood floors and want something even greener than sustainably-harvested hardwood, you’re best bet would be to. Bamboo offers the same warmth and sophistication of hardwood but, because it’s a grass and not a hardwood tree, it can regenerate after as little as 5-7 years. Better Homes and Gardens recently chose bamboo as the green flooring option of choice and installed it in their test kitchen. If you’re looking for durability, strand woven bamboo is 3 times harder than Oak or Maple and is uniquely beautiful. Of course, the greenest option is to keep the floor you’ve got. This may be difficult if your floor is shag carpeting from the 1970s with bits and pieces of God-knows-what stuck in it. If that’s the case, any of the options listed above will do just fine. If, on the other hand, your current flooring can simply be resurfaced or refinished, that would be the greenest choice. It was also be the most affordable choice. If you can’t keep your existing floors find out where your contractor plans on dumping them. With carpeting, you may be able to find a recycling plant to drop it off instead of having it end up in a landfill. Also, there is more than just the installation to think about when it comes to the environment, you’ve got to think about long-term maintenance as well. For instance, if you go with tile floor, what kind of sealant does it require and will it need future applications? If so, how many and how often? Do your homework. Just because you’re buying bamboo floors doesn’t mean they are as green as they could be. Make sure you are buying from a reputable dealer that only sells products harvested from Forestry Stewardship Council certified well-managed forests. Also, make sure your floors have been and other volatile organic compounds (VOCs) and meet or exceed the standards set out by the California Air Resources Board (phase one and two), the Occupational Safety and Health Administration (OSHA), the International Standards Association, and European indoor air quality standards (E0 and E1). Ambient bamboo floors meet the above requirements. Our products are also packed in FDA-approved organic cornstarch peanuts that decompose completely in water (a fun science project to do with your kids!). 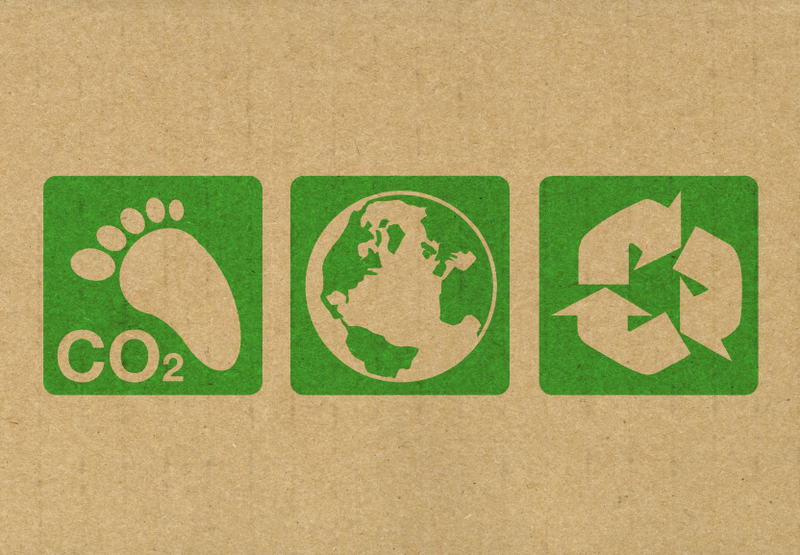 We strive to use boxes and stretch wrap made of a percentage of post-industrial and recycled material. 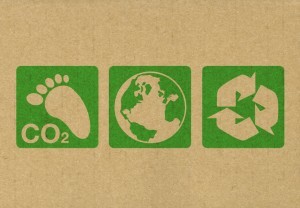 And all of our corrugated packing material is made of 100% recycled content. From the moment our eco-friendly flooring is harvested to the moment it leaves our warehouse, we’re incorporating green practices into every aspect of our business!